At this time of year, a lot of New Zealanders tend to bemoan the increasing popularity of Hallowe’en. They regard it as an alien, commercialized American import with no real connection to this country – even though, thank goodness, Hallowe’en seems to be replacing an equally alien, commercialised British import called Guy Fawkes Day, which also has no genuine connection to this country. At least the American import offers more dressing up options for children, and doesn’t involve the terrorising of animals via fireworks. Such is social progress. Otherwise, one of the peculiar aspects of the holidays and celebrations on our public calendar is the virtual meaninglessness (and/or divisiveness) of most of them. Easter and Queens Birthday for instance, have retained virtually none of their original meaning. Nor do the anniversary holidays that celebrate the joys of provincial identity. By contrast, Anzac Day has regained a good deal of meaning after decades of steadily losing relevance. Waitangi Day ( which is the closest thing we have to a national day) still polarizes the nation as much as it unites it. Arguably, that’s a good thing – in that it signifies how much work still needs to be done before there are grounds for outright celebration, for everyone. Which leaves us with Labour Weekend. After three decades of the deliberate rollback of worker rights and conditions – amid stagnating levels of pay, while bank economists celebrate an alleged rock star economy – it is a bit surprising that we still have a national holiday dedicated to the benefits that trade unions have brought to this country. The eight hour working day, minimum rates of pay, holiday pay, time and a half for overtime, rest breaks, health and safety practices – these have been the entirely conditional victories of past union struggles that have come under fresh threat in recent years. Only ten years ago for instance, the National Party was led by someone who didn’t believe in the minimum wage. The wrangles of holiday pay remain a live issue. Recently, the continued relevance of organised labour was underlined when the Unite union finally induced the Restaurant Brands company to scrap zero hour contracts in the fast food industry, and give some certainty to the incomes of its workers. Last week’s strike by junior doctors over their rosters was another example of the erosion of working conditions in the name of a “greater efficiency.” In reality that efficiency serves only employer interests and the political needs of an artificially generated austerity. In many respects then….Labour Day is merely a truce on a battlefield, rather than the dutiful commemoration of a victory that was done and dusted, long ago. Worldwide that vigilance is a necessity. Back in the USA for instance, the Supreme Court has overturned key elements of the Voting Rights Act of 1965 ( a key victory of the civil rights movement) and Donald Trump has promised to roll back the abortion rights won in the Roe v Wade decision of 1973. Clearly, there’ s always a need to be willing to defend past gains, even in the home of Hallowe’en . In the night and in the bright light of day, there are monsters. Reportedly, she’s been ‘passionate’ about education. She has “bravely’ led the charge on the government’s education reforms. In the past week , many of the postscripts to Hekia Parata’s career as Education Minister have sounded like a schoolteacher desperately trying to find some reason why a D student can be marked up to C minus. Give her a pass grade? Well, being nice about Parata and her five calamitous years in Cabinet would be an exercise in kindness, in the face of chronic under-performance. It would also be a violation of the standards to which she has held everyone else. What history has a greater duty to record is her failure to prepare, unwillingness to consult, inability to negotiate, refusal to compromise and incompetence at taking the sector groups in education along with her, on the many ideological forays she has chosen to launch. Parata has also seemed generally indifferent to the damage that her pet policies might inflict, despite the existence of compelling overseas evidence to the contrary. Her failures have also been coupled with a striking reluctance to assume any personal responsibility when things went wrong, as they consistently did. Staff and departmental underlings bore the brunt of it. Last week, Fairfax made the mistake of publishing a list of Parata’s ‘trials and tribulations’ during her ministerial career. It is a pretty terrible litany. There was the May 2012 attempt to increase class sizes – in which her fearless passion for education led her to put children’s learning at risk, so that the new Minister could earn a few early brownie points, by saving the government $43 million. This policy led to a government crisis meeting a month later, and an embarrassing back down. That same year, she also floated performance pay for teachers, which culminated in another backdown ; although, with nothing learned, she has returned this year with a new version of the same bad idea. Then came the costly charter schools experiment that’s still being pursued – regardless of performance issues, relative costs and the exemptions from normal teacher standards. One should mention the pursuit of national standards and the skewed emphasis on repeated student assessments that even the Americans are now having second thoughts about. The announcement in September 2012 that 13 schools would be closed and 18 merged was met with widespread shock and confusion at the time. The Canterbury Primary Principals’ Association said its inquiry found the reshuffle was rushed, and created long-lasting trauma and anxiety for schools and children. But wait, there’s more…the Salisbury special needs school in Nelson closure decision was announced in 2012, followed by a backdown, followed by a fresh closure decision unilaterally announced this year. As a parting gift , Parata has dropped two new bombshells onto the beleaguered education sector (a) the return of a form of bulk funding and performance pay, and (a) a risky experiment in special needs education, whereby much of the funding in future will be concentrated at the early childhood/early primary school years end of the education spectrum. 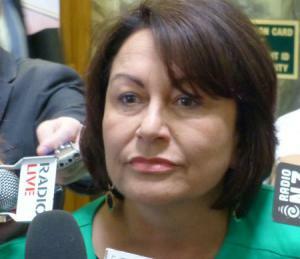 Having announced these experiments, Parata signaled her intention of walking away before the results become evident. Once again, others will have to clean up the consequences. And finally, here are the first few minutes of Badlands, with “Gassenhauer” (as arranged by George Tipton) perfectly conveying the film’s eery, beautiful mood of social and temporal displacement. This whole govt has that in mind I am sure. Especially the language spinning PM. Where’s my knighthood? is all he will care about. Lest we forget the entire 3 terms of Nact has been a total disaster for the country they have lead us into a dark corner. And just around the corner its all going to collapse. Do they really want a fourth term? Nah, just making the right noises to look as if they care. There’s a serious omission – no mention of this Govt freezing Operations Grants to all N.Z schools in the last Budget – a huge reduction in funding. Unacceptable!